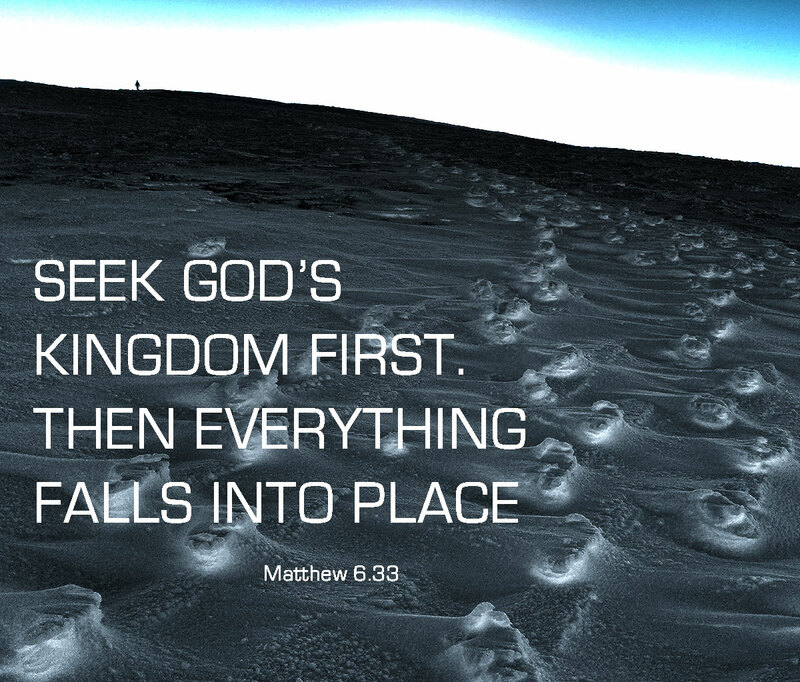 Matthew 6.33 - “But seek first his kingdom and his righteousness, and all these things will be given to you as well." Psalm 119.2 – "Blessed are those who keep God’s statutes and seek him with all their heart." The UCB notes on 8th January 2018 talked about making a good cup of tea. You can dip the teabag in or you can let the teabag dwell in the hot water and brew to experience the tea’s full taste and strength. When we put ourselves in God’s presence through his Word, prayer etc we dwell in a place where God’s flavours will infuse into us and then out of us. It's important to know that God seeks us out - before we seek him out. Cory Asbury song - 'Reckless Love' chorus says, "Oh the overwhelming, never ending, reckless love of God, Oh it chases me down, fights til I’m found, leaves the ninety nine." So we know that God seeks us out. You remember that game 'hide and seek' that kids play? Well we can hide but God is always seeking us out. We can then choose to turn to God or not. If we do say yes to God, he changes us to want to follow him. Any good relationship is two-way and if we want to know God, we can. We can be as close to God as we choose to be. If we ask him, he will help us. 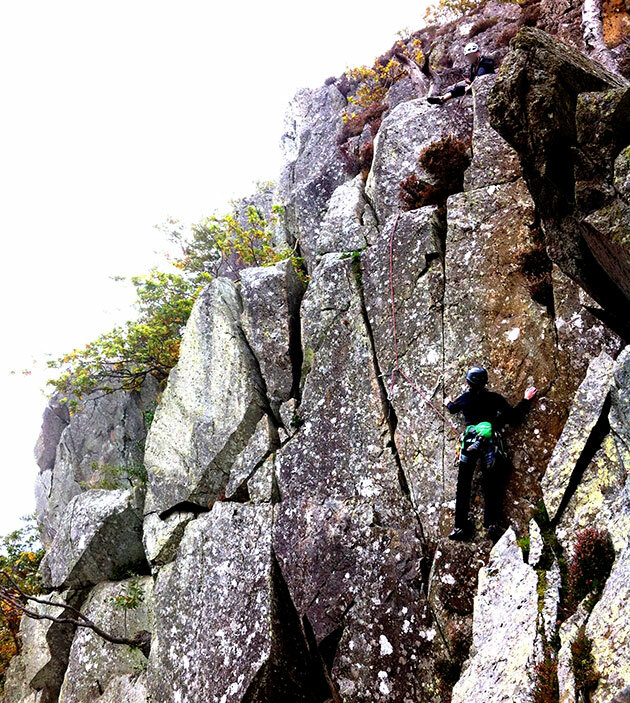 In most climbing styles, one person climbs and places protection into the rock and the other one belays them. Then the first person gets secure and belays while the second climber moves up. All the time, the climber (on their rope) is being helped and protected from a fall by the person belaying. 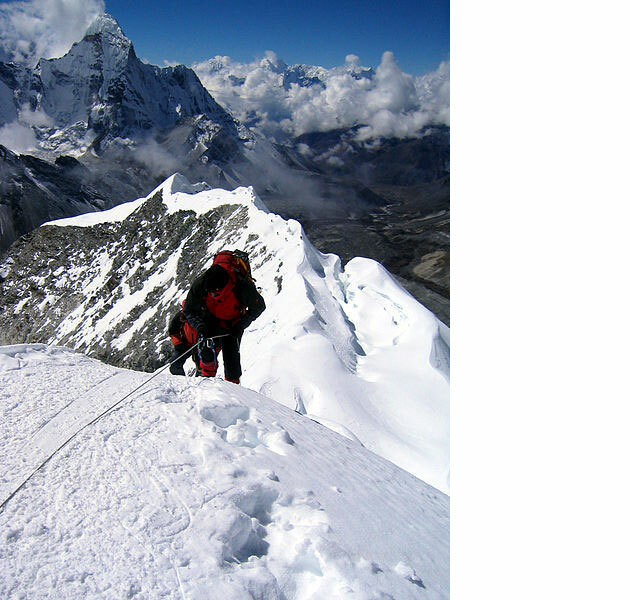 Or for another example, mountaineers regularly need to move across glaciers (shifting blocks of ice, often with hidden and very dangerous 'holes' in called crevasses). To protect themselves, the mountaineers will connect a rope between everyone in the group (ideally 3-4 people). This means that if one slips or goes down a crevasse, the others can quickly drop and dig their ice axes in to prevent a fall. But this also means that where one person goes, the others follow. The same kind of procedure happens when climbing up steep ridges. Walking with God is a bit like this - except it's God who's the one in charge! But it's a good picture to think about - God drawing us to him and then connecting us together. So what about our part in seeking God? What does this look like? Psalm 37.4 - "Delight yourself in the Lord and he will give you the desires of your heart." God doesn’t need us to seek him and he doesn’t demand it like some spoiled child or selfish king. He tells us to seek him first because it’s best for us. Things just work out better! There’s a famous verse in Jeremiah 29.17 which talks about God knowing the plans he has for us and them being good. But the verse after says, ‘you will find me when you seek me with all your heart.” The Amplified version of the Bible talks about seeking God as a vital necessity. This tells us that seeking God isn't just a good thing - it's essential! The good news is that God helps us! 2 Corinthians 3.18 - "So all of us who have had that veil removed can see and reflect the glory of the Lord. And the Lord - who is the Spirit- makes us more and more like him as we are changed into his glorious image. " Very simple animation looking at the Kingdom of God! The Kingdom of God is the complete reign of God, his nature, his character and his way and his will happening. It's about God being the boss, things going his way and people knowing that. Jesus also came to seek out and to save the lost. By 'lost' we mean people who don't know God. If people don't know God they are like slaves to evil, trapped in a world they can't get out of. But Jesus is the answer and can transfer people from the kingdom of darkness to the kingdom of light. It'd be a bit like a football player going from a club with non money and with a terrible team and abusive manager to move to the world's best club with the best facilities and the world's greatest manager. Seeking after God is doing things the way God does them. It’s having our mind renewed so we live a life like Jesus lived. The ‘things’ that God promises to take care of is the stuff that we often worry about. Matthew 6 lists some of the kinds of stuff like clothes, food, what to wear etc. But ‘stuff’ can mean all kinds of different things for each of us. God cares about everything that you care about and he sees and wants to help us. The heart of everything is that God cares and we need to let go and let God do things his way. As we do things his way, things just begin to fit into place. It may not always be perfect and be easy but it will work out for our good and be so much better than if we don't let God help. That's why God says 'follow me and do things my way'. It's for our own good. Do things now that you won't regret in the future. God never makes mistakes and his way leads to the best life. We gave everyone goodie bags. The bags were resealable ones about 11cm x 9cm in size which can be found on ebay. We then printed up the image at the top of the page and then placed it in the bag, along with a mini karabiner and a mini packet of love hearts. The karabiner was in there to signify us being attached to God. The love hearts were there just as an example of God's love - and as something nice to eat!